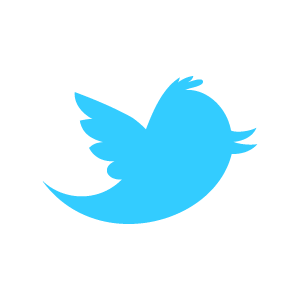 Obviously, we don’t need to point to supernatural entities to explain the evil that haunts this world. Human beings are perfectly capable of committing dastardly acts with no help from otherworldly forces. But that’s not as much fun as imagining a scoundrel like Satan wholeheartedly approving of our sinful yearnings. Satan’s the perfect expression of all that’s so very bad, but so very, very good. He’s the ultimate supervillain, one we can all get behind, because he encourages us to yield to our darkest desires. We delight in all the hellfire and damnation symbolism for just that reason, and we should never forget that Satan has been our best friend forever. He’s inspired endless amounts of the music we've enjoyed over the years, and Satan is certainly the prime motivating force in the world of fire-and-brimstone that “apocalyptic devil-rock troupe” The House of Capricorn inhabit. The New Zealand-based band blazes across the heavens with Ave Satanas fervour on their third album, Morning Star Rise. And released on the always exquisitely curated Svart Records, the album features nine tracks of pitch-black, doom-drenched, and 100 percent hell-bound rock ‘n’ roll. It’s been quite the journey through the netherworlds for The House of Capricorn already. The band’s first full-length, 2010’s Sign of the Cloven Hoof, featured a dozen tracks of doom and stoner metal that were clearly stamped with the Devil’s mark. However, The House of Capricorn had remodelled their sound by the time their second album, In the Devil's Days, arrived in 2011. Their doomy mid-tempo stomp stuck around, along with the band’s Luciferian accent. But gothic rock, deathrock, and plenty of infectious hard rock—boiling with infernal intent—had a far stronger presence. The House of Capricorn’s decision to evolve their stylistic approach on In the Devil’s Days was a wise move. The band instantly became more distinctive in the jam-packed halls of hellfire and heavy sulphuric rockers. With 72 minutes of infernal hymns on In the Devil’s Days, the album was wholly ambitious. 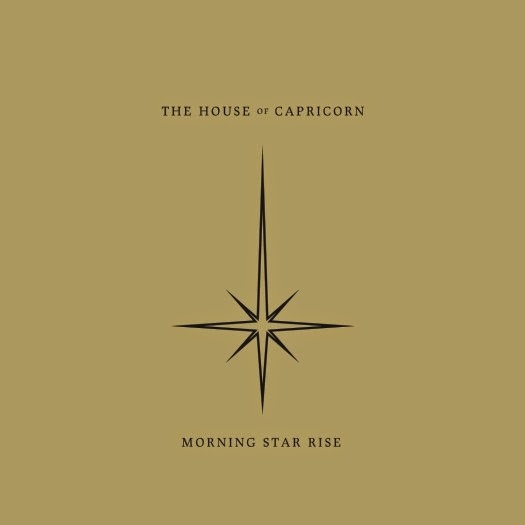 But The House of Capricorn have reined in the song lengths and overall running time on Morning Star Rise, and there’s no question that’s made for a better album. Morning Star Rise may be shorter, but it features plenty of black-hearted wickedness. The album is more concise and features tighter and more direct tracks. And that means its songs hit harder. 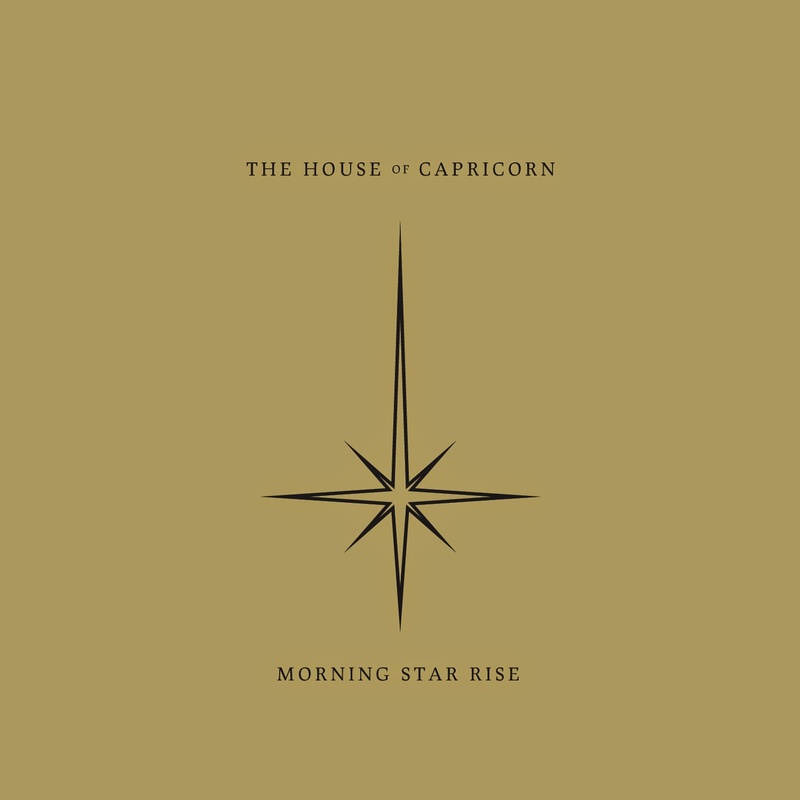 Morning Star Rise also continues The House of Capricorn’s musical progression. The influence of heavyweight gothic titans like Babylon Whores, Danzig, Sisters of Mercy, and Type O Negative has never been stronger. For instance, on tracks like “The Only Star in the Sky”, “Watching Angels Fall”, and the punkier “Our Shrouded King”. The House of Capricorn’s shadowy songs explore enlightenment via darkness with anthemic momentum. The storming “The Road to Hell is Marked” and “Ivory Crown” are all the proof you’ll need of the band’s ability to do Satan’s handiwork with hook-filled tunes. Elsewhere, guitarist Scott Blomfield wraps frosty black metal riffs around Marko Pavlovic’s croon on “In the Light of Lucifer”. And if the diabolic black metal scattered throughout Morning Star Rise appeals, you’d be well advised to hunt down Blomfield and Pavlovic’s side-project, Creeping, for more intensely fiendish fare. Morning Star Rise finishes on “Dragon of Revelations”—a piece of darkly baroque theatre. However, while “Dragon of Revelations” is an epic close, bringing the band’s doom drawl to the fore, what is most apparent on the album is that it’s driven by an undercurrent of rawer punk-infused rock. That’s no surprise, given that the hell-hammered melodies of Babylon Whores are a big influence here, but The House of Capricorn aren't dealing in mere mimicry. Instead, Pavlovic, Blomfield, and drummer Michael Rothwell (who also plays in the outstanding droning sludge band Shallow Grave) mix their unholy gospels with varying shades and textures of dark rock and metal—until it all coalesces into a sound that might well display its influences proudly but still sounds unique in the occult rock realms. That’s the real clincher here. Because whether Morning Star Rise appeals or not comes down to how accepting you are of music that’s not metal, not punk, and not hard rock, but has a distinct gothic accent that falls somewhere between the three. If you can appreciate the majesty of a track like “Ashlands”—where the band channel The Fields of the Nephilim, Mortuus, Bauhaus, and Candlemass via a superbly grim doomscape—then you’re bound to enjoy the uniqueness that rests at the dark heart of Morning Star Rise. Certainly, that uniqueness is helped along by Morning Star Rise’s evocative production, which finds Ulcerate drummer Jamie Saint Merat behind the desk once again, while Paris-based Francis Caste handles the mixing and mastering. There’s a crisp, vital bite to Morning Star Rise. One that captures all the diabolical vitriol on the album’s rowdier tracks, but lets all the graveyard murk seep through on the slower, ill-omened, and gloomier songs. Morning Star Rise is unquestionably The House of Capricorn’s best release. All the villainy and sacrilegiousness ensure the album’s satanic seductiveness. But what seals the Mephistophelian deal, is that Morning Star Rise’s stripped-back and punchier songs deliver all that devilry with a gnashing and gnawing savagery not heard from band before. Whether you believe in Satan’s palpable presence, or you think it’s his symbolic value that matters most, Morning Star Rise makes for a fine soundtrack to celebrate Old Nick’s ever-present and all-pervasive influence.